Some people might feel unfamiliar about infrared marked cards or infrared contact lenses. However, infrared contact lenses to see marked decks are popular nowadays in magic shows and even in poker games. It's better that you can get marked cards reader to detect the invisible ink marks on marked cards for self-defense. 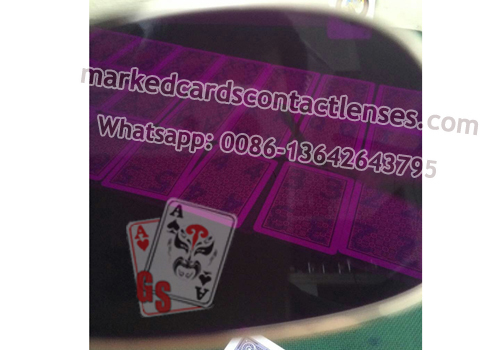 If not to use marked cards for cheating, the infrared filter is very good device to detect the invisible ink marks of marked poker cards. It's useful and necessary in reading marked cards for self-defense. The infrared filter is much easier to take and with lower price than the IR glasses or contact lenses.